What’s going on with Extreme Weight Loss? Recently, hosts Chris and Heidi Powell appeared on Hallmark Channel’s Home & Family to discuss the ABC show and their new book, Extreme Transformation. Though ABC has not officially cancelled the weight-loss program, a new season of Extreme Weight Loss has not aired since 2015. 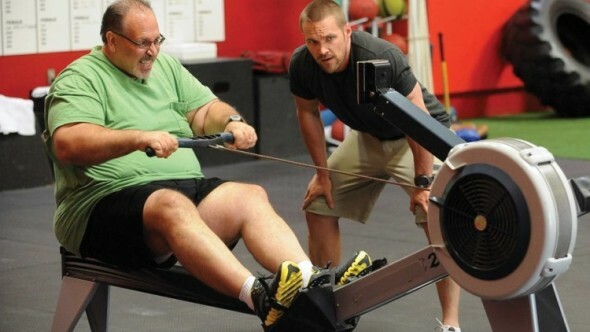 The series followed trainers Heidi and Chris Powell as they worked together to help very obese people change the way they live and lose massive amounts of weight over a year. What do you think? Are you a fan of Extreme Weight Loss? Do you think ABC should renew the series for another season? More about: ABC TV shows: canceled or renewed?, Extreme Weight Loss, Extreme Weight Loss: canceled or renewed? I really enjoyed watching the show. It really changed lives. I wish that the show would continue. As a person that has fought weight for the majority of my life, the show was extremely motivating. If those people can do it, then I know I can. I hope they bring the show back. I love this show, love Chris and Heidi. Please being them back! It’s been too long. Hi, Being a female that has struggled with weight, her whole life. I just love this show! It gives me hope. Possibly, if they can do it, so can I. I also get health tips, excersie ideas and inspiration. Please bring back the show and the Powell’s!❤️ Miss them! Please please please bring this show back. Chris has such heart and is very inspirational. Absolutely! This show touched my heart and motivated me, as well! I was so bummed when it didn’t return!!! Please do not cancel their show! My husband and I work out and this show keeps us motivated! We all have struggles. Chris and Heidi help in giving people their lives back! All of the people on the show are an inspiration! This show was an inspiration to anyone who was on a journey to a healthier life through weigh loss and exercise. Please bring it back! Can we please see an episode with someone that suffers from thyroid conditions. There are millions of Americans with thyroid conditions that have an unbelievable struggle that people ignore. Please bring back extreme weight loss and any others like it because people need things to keep them motivated on there own weight loss journey. I know I have some to loose and for me it’s been real trying to get it off. I may only have 60 to 65 pounds to lose but it’s not easy wish I had chris and Heidi’s help or something to motivate me. Love these shows. So thanks for showing them. This show is the most realistic weight loss show out there. Its deals with the person, their issues, their personal,emotional and physical health over 1 year. Plus you real see that the Powell’s real care. Its not a game show. This show has inspired me in my weightloss journey. I have a long way to go and i hate to see it go off the air. PLEASE DONT GO!!!!!! Yes Extreme Weight Loss should come back for 2017 Fall season! !